It would be great if we get a lot of feedback on @ErwinH's new dvfs table that means playing around with different workloads, cramp the board in tiny enclosures (read as: eg. cardboard boxes) to let throttling start early, changing max cpufreq by adjusting /etc/defaults/cpufreq-utils and test through different clockspeeds since we need results from a lot of boards to get an idea whether the safety headroom regarding DVFS operating points is ok or needs to be extended. BTW: This is also not a call for stupid requests ('When will Armbian be ready...'). Those will be either deleted or moved to a special thread 'The user requests that prevent any dev doing any more work'. I'm curious what's the experience with my DVFS table. Hope it runs stable on all the boards! Can resolution be changed from 720p ? Btw, thanks for all the hard work guys. The situation is the same as with H3 mainline images - video mode is selected in u-boot using EDID (and it should default to the monitor's native resolution) and it can't be changed right now. Is the build repository able to build PC2 images? ALERT! /dev/disk/by-uuid/c5a436c3-dfd4-4279-849f-a5f4bf567115 does not exist. Dropping to a shell! @martinayotte has the same problem with his board, while for other people (including me) these images work fine. I have no idea if this is a HW issue or it can be solved on software level. 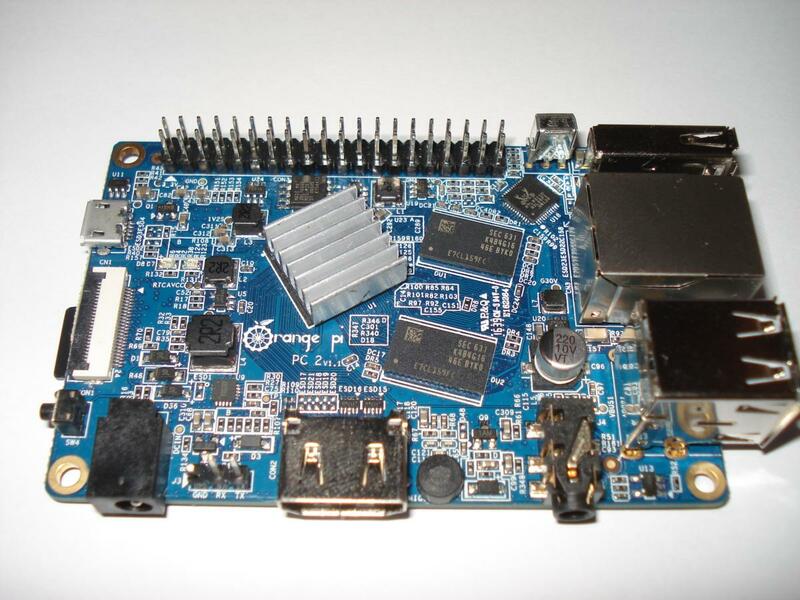 Edit: It is possible to boot from USB, but it is tricky if you don't have u-boot in SPI flash since having the same image on USB storage and SD card will cause a UUID collision, and I'm not sure if this u-boot can be loaded in FEL. You need the sunxi-spl.bin from the 32 bit version of the u-boot and the u-boot-dtb.bin from the 64 bit. sunxi-spl.bin is in the u-boot-sun50i/master/ folder if it isn't cleaned. That was the final blow on this board. I gave up on it quite some time ago due to the fact that its expansion pinheader is not compatible to any audio add-on (really bad design from orangepi..) but just made a compilation since I happened to have the board. Should left it in the drawer, its a waste. 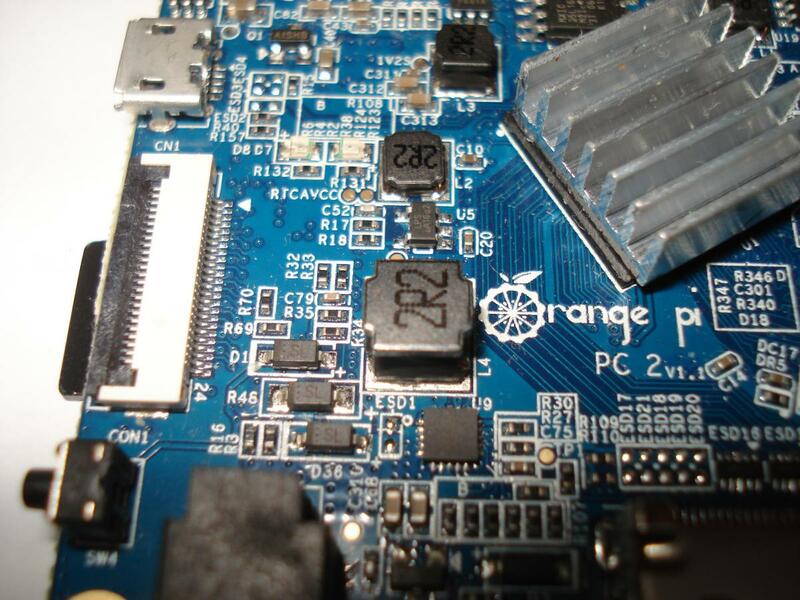 It looks orangepi has put all of us into a really big mess with the PC2. For what is worth it though, you guys are the best, regardless of my opinion on the specific board, your work is exceptional. Please wait for the new nightly. I've found the original discussion about this problem and I now think it's a software problem that can be fixed. Although this board is of no use to me, it might be to others so as soon as I see aditional commits on it I'll give it another try, just to give you some feedback. Great stuff.. It pretty annoying having fixed 720p resolution on a 1080p display. Will give it a go tonight. Question... Is there any kind of 2D accelaration for desktop or is just a pure framebuffer done by cpu ? Pure FB. No DRM display driver, no Mali, no HW video decoding. Still it can play 720p video in mpv, but you'll need a USB sound card to get any kind of audio output from it. Makes sense. I guess mali is a hard nut to crack with mainline kernels. As for video accelaration; Cedrus doesn't work with H5 ? Audio is bust for hdmi and analog out ? [  OK  ] Started Armbian filesystem resize service. [  OK  ] Started Armbian first run tasks. [  OK  ] Started LSB: Start/stop sysstat's sadc. [  OK  ] Started LSB: Starts LIRC daemon..
[  OK  ] Started LSB: Advanced IEEE 802.11 management daemon. Framebuffer Mali can be added, it's not that hard (but it's mostly useless). For a X11 Mali you would need a DRM display driver first (if I understand things correctly), and current H3 one is too limited and experimental ATM. H3 cedrus may work if you are talking about mainline one (well, a fork of this one that supports H3), but again - it's early WIP that depends on another WIP feature (Requests API), so I wouldn't expect it to be fully ready and operational this year. Analog audio will be present in 4.10 if anyone finds time and motivation to rebase this branch on top of 4.10. I also saw SPDIF patches for H3, so they may appear in 4.11-4.12 too. 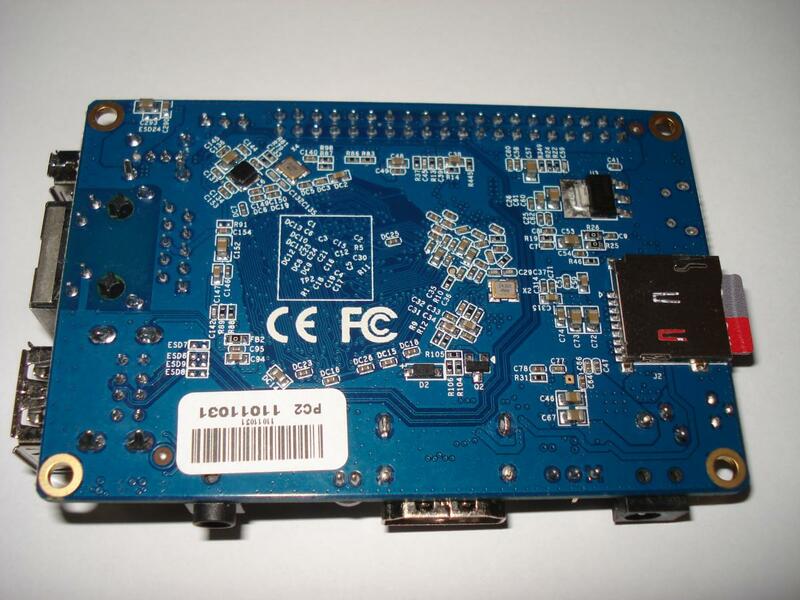 For the HDMI audio - I don't think any sunxi board has it supported in Linux kernel, and I don't think anybody is working on it. I can rebase these commits on top of 4.10 if you like. Let's wait at least for the official 4.10.0 release, no need to rush only for the analog audio yet. Also please note that we changed and fixed some of yours and apritzel's commits and patches in order to support Pine64 and booting from SPI. no need to rush only for the analog audio yet. Yep, let's focus on basic things first: Stress testing to get stability reports from a much larger sample size than currently. I still fear that it ends with this H5 mainline image like with dev vanilla images for H3 boards. Zero useful feedback from any user but them starting to use 4.x images productive and flooding the forum with complaints about stuff that is known to not work (ATM). Any chance for a script that would simplify stress and temperature testing for noobs ? Maybe even include one in the image and let it run on the first boot, then submit results to armbian server. Exactly why I didn't want to announce it yet. 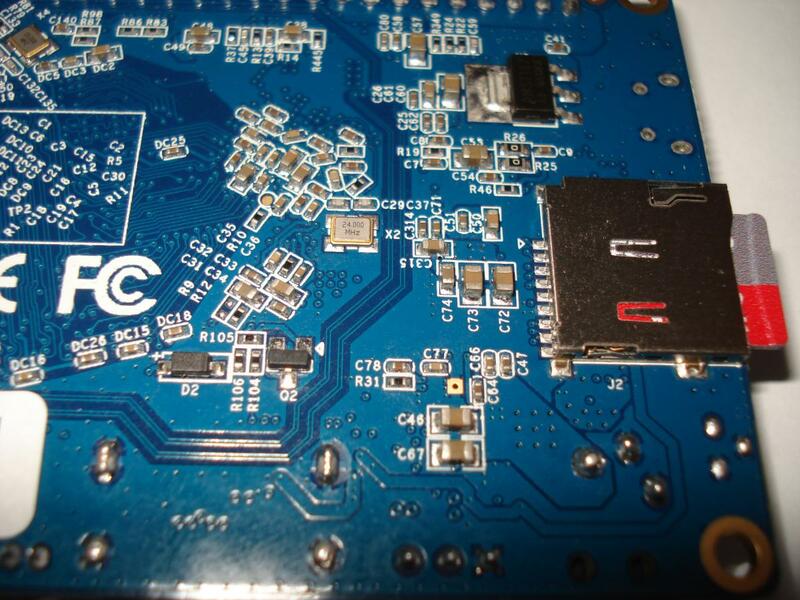 Link to the images and to this thread already appeared in some other PC2 discussions (hi 4pda.ru forum ), but other people may run into the same MMC pull-up issue with current nightlies. Can you explain mmc pull-ip issues for noobs ? For noobs - some Device Tree definitions were wrong, it will be fixed in the tomorrows nightly (or there is a test CLI image linked above that has this issue fixed). Not for noobs - most SD cards require external (relative to the card) pull-ups on its data lines. Previously kernel relied on pull-ups enabled by u-boot, but after the pinctrl rework same definition (SUN4I_PINCTRL_NO_PULL) caused kernel to actively disable pull-ups instead of not touching previous value. Nope, fire and forget doesn't work (based on experiences already made wasting hours for automated testing images and receiving not that much feedback), it requires some time and at least the will to get some knowledge. There's a reason why I referenced 3 github issues/threads above. Exactly why I didn't want to announce it yet. If I understand you correctly, you didn't try it yet? Because the driver should select native screen resolution, in this case 1080p. If it is not, then it is bug. H5 doesn't have any HW 2D acceleration, only 3D through mali. For this you need DRM driver. Maybe something can be done with H3 experimental one, but let's focus on basics first. I had this issue with my own build done before your official commit, so, maybe I missed something, since when rebuilded with your changes, the problem disappeared. I though that too, and was thinking that you've included that fix. Since you didn't, the problem was maybe elsewhere. Good work team, congratulations. I have already tried it, installed on hdd with nand-sata-install, but I am thinking if it's possible to remove sd card, and have boot files on SPI flash. Is that possible?